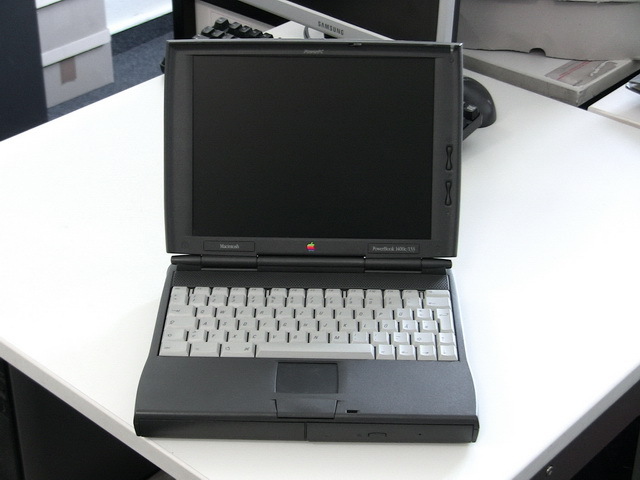 The PowerBook 1400 was a notebook computer designed and sold by Apple Computer from 1996 to 1998 as part of their PowerBook series. 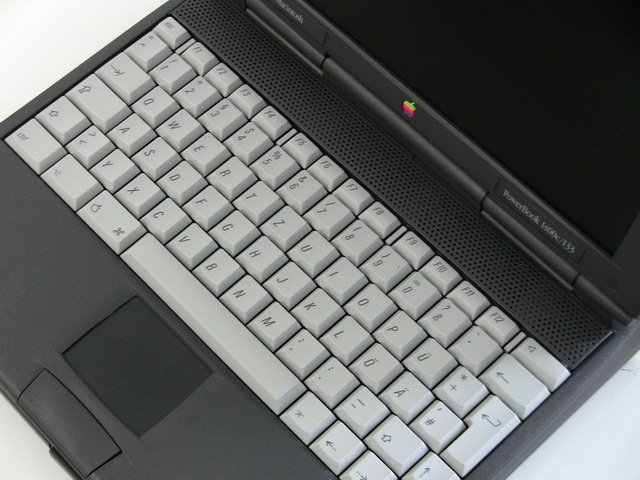 The PowerBook 1400 was notable for being the first notebook computer to come available with a built-in optical drive. 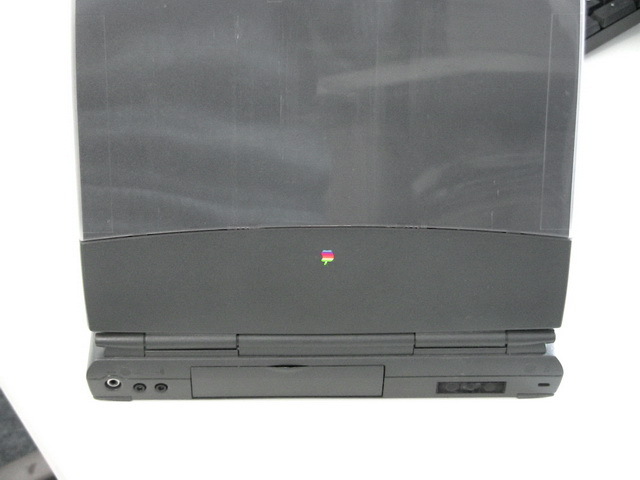 To popularize the PowerBook 1400 with customers Apple introduced the interchangeable �BookCover� which allowed users to alter the appearance of their PowerBook. 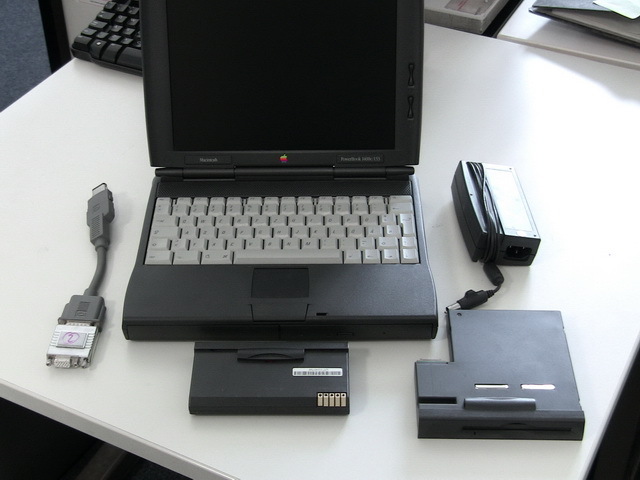 The PowerBook runs Mariner and SumIt, two advanced spreadsheet programmes. In spite of the limited graphics a graphical calculator is available and can plot three dimensional shapes quiet smoothly.